According to the U.S. Centers for Disease Control and Prevention (CDC), in 2016, there were approximately 28.6 million people without healthcare insurance in the United States. Though the healthcare sector is extremely complicated, purchasing healthcare coverage is often much easier than people realize. Contact a Sioux Falls insurance company right away and make sure you’re getting the health benefits you deserve. 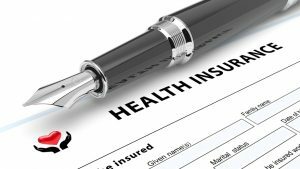 The Affordable Care Act (ACA) controversially included an Individual Mandate, which requires that the majority of Americans buy health insurance plans. But not everyone signed up for coverage, and not everyone who actually did sign up kept their coverage over the years. Because of all the uncertainty around healthcare, millions of Americans could face upcoming tax penalties for not having any health insurance. So who will have to pay a penalty for not being covered? If an individual goes three full, consecutive months without being covered by a legitimate health insurance provider, they are likely going to have to pay a tax penalty for that entire year. Keep in mind, however, that you can have a health insurance plan last only one single day of a month, and that will still be counted as an entire month with health insurance (though it’s not recommended). What’s the cost of not having health insurance for an extended amount of time? As of last year (tax year 2017), the penalty for not having health insurance was 2.5% of a total household adjusted gross income. Those penalties equated to approximately $695 per adult and $347.50 per children for a base penalty — up to a maximum of $2,085. For the upcoming 2018 tax year and beyond, however, the penalties could be much larger. There is no definitive penalty announcement at this time, though, so much remains up in the air. However, many experts expect penalties to increase in the short-term. You should try your best to avoid these penalties and get covered. Whether you need supplemental health insurance plans or something as specific as eye insurance plans, be sure to work with an experienced Sioux Falls insurance company. Contact Midwest Employee Benefits today to learn more about your options.